Unless American families change the way they eat and live, one-third of American children are destined to become diabetic. Unfortunately and unhealthfully, this prediction is coming true. Parents, we have a problem. 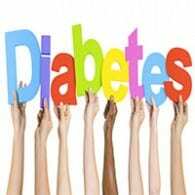 Imagine your child having a 33 to 50 percent chance of later becoming diabetic. Parents, we also have a solution. Around 90 percent of children with “diabetes” have type II diabetes, the most preventable type. While type I diabetes is mostly genetic, type II diabetes is nearly completely due to diet and lifestyle. Kids eat too much junk food and they sit too much. As a reminder for parents to keep their children, especially their pre-diabetic children, from going on to develop diabetes, at the checkout counter in my office I have three big soda bottles re-labeled: “Diabetes in a bottle.” They get the point.